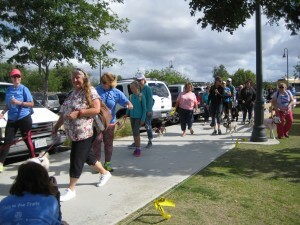 OCEANSIDE — The fourth annual Tails on the Trails is much more than a dog walk; it’s an opportunity to support great causes and raise animal awareness for pet parents. The primary sponsor and host of the May 20 event at Mance Buchanon Park in Oceanside is the Tri-City Hospital Auxiliary. The outdoor affair is part of its community outreach program. Registration is $20 per dog. Also taking part in the day will be nonprofits, various rescue groups and pet adoption agencies such as the San Diego Humane Society. “This event is also our way of giving some of our local nonprofits some support,” she said. 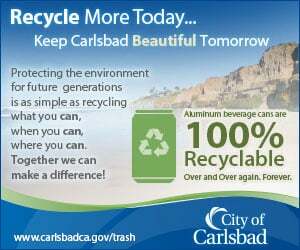 Gleisberg wants people to know how proceeds from the event will benefit various organizations such as Tender Loving Canine Assistance Dogs, Oceanside & Carlsbad K-9 units, TCMC Pet Therapy program, Special Care Foundation for Companion Animals and the Tri-City Hospital Auxiliary JV Scholarships. Participants will receive a T-shirt, a little backpack, a doggy bandana and goodies from various vendors and nonprofits. In addition to the walk, an agility course for dogs and their handlers to participate in was an add on this year. Contests will also take place with categories such as basic obedience skills. For those wanting to see exceptional obedience, attendees will have the opportunity to see police K-9 units in action courtesy of demonstrations provided by the Oceanside and Carlsbad police departments. According to Gleisberg, the walk kicks off at 9:00 am. One lap around Mance Buchanon Park is estimated to be a mile, so it’s up to the participant as to how many laps they want to achieve that morning. From 9:30 a.m. to 1:00 p.m., attendees can visit vendor booths, watch the demonstrations and give a dog game or activity a try. Over the years, this annual event has grown more popular. Gleisberg believes this has to do with how the community unites to both support and donate to various organizations. “This annual event enhances our overall community,” she said. For more information, call (760) 405-3795 or purchase tickets at tailsonthetrails.eventbrite.com.